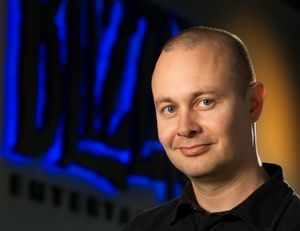 At Gamescom, James speaks with World of Warcraft game director Tom Chilton on the industry-shaping MMO's past, present, and future. Q: Few games can make it to 10 years and still be relevant, let alone a genre leader. What makes World of Warcraft different? Tom Chilton: I think it’s the world itself. 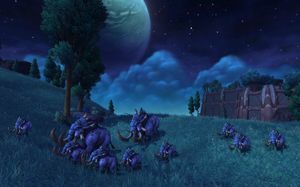 It is the world of Warcraft and I think that it’s always been what has captured people. I always found that if you watch somebody successfully get through the first quests in Northshire, Elwynn Forest, it’s hard not to get wrapped up in the world and want to see more. Before you know it, you’re level 60 – or today you’re level 90 – and doing dungeons and raids or whatever. 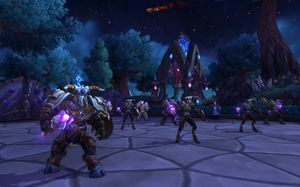 Q: World of Warcraft now is a vastly different game when compared to what it was at launch. What do you think has been the most significant change over the course of 10 years? Chilton: I would say the most significant change has been opening up the different content types to more players. 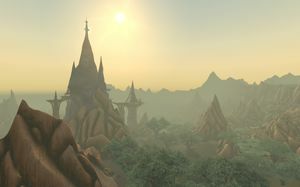 When we first launched World of Warcraft we definitely envisioned raids as something that the vast majority of players were never going to do, they were really only something for the one percent – which was true at the time. It worked because the world itself had so much content for players, for everybody else, and that kept everybody going for a long time. But over time people want to experience more. Lots of players wanted to see dungeons but didn’t want to go through everything you had to go through to see a dungeon, and the same became true for raids. Q: Speaking of raids, Grommash Hellscream has been announced as the final boss for Warlords of Draenor. Can you speak to that, and to his new role in the expansion? Chilton: Grommash Hellscream is a very central character in Warcraft history. He’s somebody who was built up through the real-time strategy games. He’s a very interesting character in a lot of ways. We’ve seen his bloodlusted, demon-infused side, and we’ve seen some of his redemptive side when he slayed Mannoroth the first time around. Now we’re seeing another possible side of him: what would he be like if he were uniting the orc clans, and taking on this quest to conquer the world? We’ll see him in combination with these different orc chieftans, and how they all get their mojos. Q: Will raiding in Warlords of Draenor be a drudge through different flavours of orc? Chilton: There are other kinds of raiding content as well. For example, the first raid zone players go into is more of an ogre zone. The ogres also came from Draenor, and they play a huge part in what’s going on in Draenor in general. 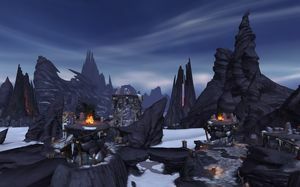 That first raid is Highmaul, and eventually you take on Mar’gok, who is the emperor of the ogres. That raid has a lot of flavoured character of its own. I think that as players see the Lords of War cinematic series, they’re going to learn more about the ogres and the orcs, and what their play was. They’ll really be able to see that in the game world not only through the different zones but also through the raids. We are already in progress with our next expansion. We already have zones in production for it. Q: You’ve made it to 10 years, do you think Warcraft has the legs to make it to 20? Chilton: I do. I think that not only do we have content planned out for a good amount of time, I also think that while MMOs go through a life-cycle, the life-cycle tends to be very long. As long as there are enough players demanding that we make more content then we’re likely to do so. I think it’ll be quite a while before the financials indicate that it’s just not worth doing anymore. Q: How far out do you plan content and think ahead? Chilton: We are already in progress with our next expansion. We already have zones in production for it. Our next expansion after that, we have a couple of different options that we’ll be choosing between over the next several months. Beyond that, there are about six or seven different ideas for expansions that we can take elements of and say, ‘You know what? Let’s take that and put it in this one for our next expansion after the next one.’ Or we might shift the timelines around from what we originally envisioned. There’s easily 10 years worth of stuff that we can draw from – more, really. Q: Speaking of elements or ideas you’ve been saving for expansions, are you satisfied with the response you’ve got to garrisons in the Warlords of Draenor alpha and beta? I think the build we saw more recently on the beta really opened up a lot of the functionality, and the next beta build is going to unlock a ton of different buildings that weren’t really accessible before. I think players will have a lot of fun checking it out. Q: Each expansion clearly serves the game’s existing audience first, but there always appears to be a secondary goal of either driving new player sign-ups, or winning back lapsed accounts. 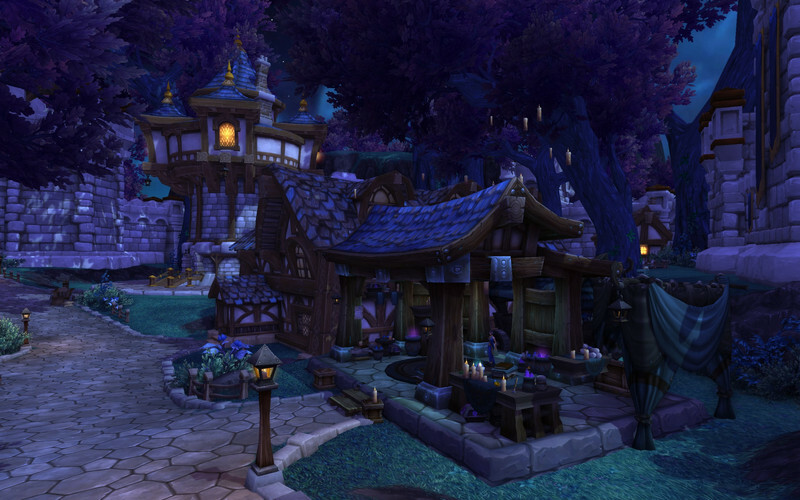 Warlords of Draenor looks like it’s especially designed to win back lapsed players. Would you say that’s a fair assessment? Chilton: I would agree with that. We’re certainly trying to accomplish that. First and foremost, like you said, we try to make sure that any expansion services the audience that we have. After that we try to think about what it means to returning players, and what it means to new players. While we’re always trying to make improvements, I think that Warlords of Draenor is a substantially better experience than any previous expansion for lapsed players. The level 90 boost gets people right into it. The fact that you’ll earn your abilities back pretty quickly and start right off with a clean slate – three skills and an empty backpack rather than an inventory full of junk that you can’t remember what you were doing with! – I think that experience lends itself well to giving people the opportunity to come back. We are also trying to make things easier for new players. We have an improved tutorial. We’ve definitely found over time that the players we’re getting now are far less familiar with the standard MMO-slash-RPG mechanics than the players we got years ago were. Q: Going back to the subject of 10 years, and talking about changes in the subscribership, different playstyles and different expectations, have you seen a shift in your demographics? Q: If you had to pick out a single part or personal highlight from 10 years of World of Warcraft, what would that be? Chilton: Wow. Probably the original development of the talent system. It felt like that was a turning point in our Friends and Family alpha or beta at the time, where suddenly the game clicked with people. People loved the content, they loved the idea of the classes, but we were hearing constantly at the time, ‘My character isn’t customised enough in terms of gameplay’. We were trying to figure out [what people meant]: did they mean they wanted the option to have a bigger nose, or did they mean they wanted their character to play differently than the other mage next to them? We felt like it was the latter moreso than the former, so we developed the talent system with that in mind, and there was this huge sea change. People felt like they were completely invested in the game. 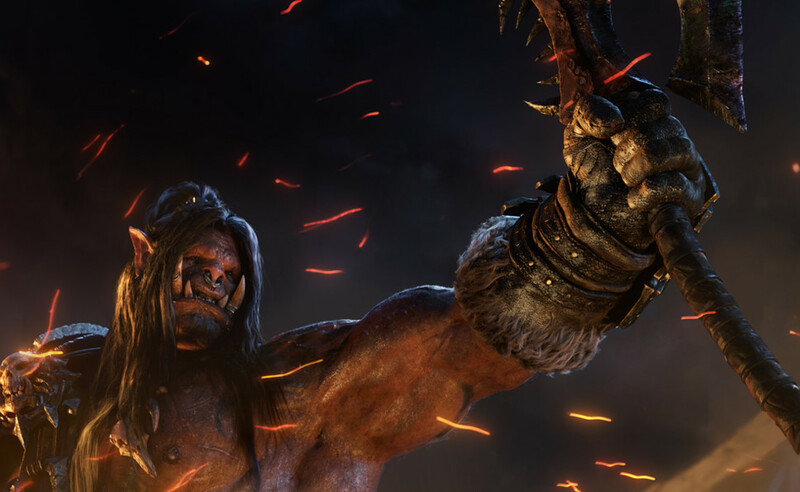 Warlords of Draenor launches on November 13 on Windows PC and Mac.